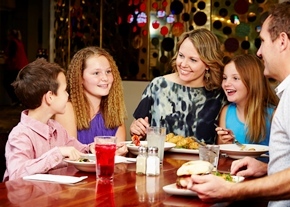 The Foundry Hotel is Bendigo’s busiest family bistro catering to all sized bookings and all members of the family. A separate gluten free menu is available, offering a number of choices (please note that the chips are not gluten free because are cooked in the same oil as gluten containing food). The bistro features generous-sized meals, a two course lunch menu, and a children's menu. The Foundry’s newest entertainment area and sports bar ‘Mister Bobs’ was launched recently, and has further expanded the venue’s vast offering. The Foundry has a number of function rooms and facilities available, street side dining, and the new all-weather courtyard is under construction, as is a kids area and TAB. Bus groups passing through or visiting Bendigo are also catered for.